Kim Yourchock is a labor and employment attorney who partners with employers to identify and implement business-focused solutions to workplace challenges and concerns. Kim works with a variety of clients, from multi-national corporations to start-ups, across a number of industries, including automotive, retail, hospitality, information technology, healthcare, manufacturing, and financial services. Counsels and advises employers regarding day-to-day workplace matters, including best practices for hiring and employee screening, FMLA and ADA compliance, performance management, separations and severance arrangements, reductions in force, WARN Act compliance, workplace privacy, drug testing, and labor relations. Regularly collaborates with the firm’s general corporate and private equity attorneys and clients on mergers, acquisitions, restructurings, and other complex transactions to minimize risk and maximize the value and success of those transactions from a labor and employment perspective. Helps national and international companies establish employee operations in Michigan and throughout the United States. Collaborates with employers to develop employee handbooks, codes of conduct, policies, training materials, and conducts preventative workplace training. Conducts and advises on workplace investigations, including into allegations of workplace harassment, misconduct, discrimination, and retaliation. Counsels clients on the drafting, implementation and enforcement of non-competes, non-solicits, and non-disclosures and the termination and hiring of employees with these restrictive covenants. Negotiates, drafts and advises relative to executive employment, severance, independent contractor, and consulting agreements as well as bonus, incentive compensation, and commission plans. Assists employers with wage and hour classification audits and compliance. Partners with employers to defend against and strategically resolve workplace disputes threatened and pending before state and federal courts and administrative agencies, including claims of discrimination, sexual harassment, breach of contract, retaliation, wrongful discharge, and related tort claims as well as violations of whistle-blower protections, wage and hour laws, and family medical leave laws. Represents clients across a wide variety of industries in response to ADA and state law public accommodation claims. 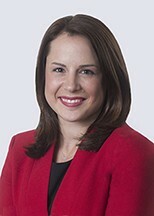 Kim is also an active member of the firm’s internal committees dedicated to diversity and inclusion, women’s initiatives, and strategic planning, and serves as a mentor to newer associates.